Home / Automotive / News / Video: When Tuners Go Full Savage! Here's a little clip of big madness. It's inevitably going to happen, and for numerous reasons... possibly. Such as the foibles of youth, or boredom, or too many petrol fumes. Whatever the reason, the magical internet has given us the opportunity to actually see many of these incredible inventions in action. And we use the term 'incredible' rather loosely because some of them are either incredibly cool or incredibly stupid. But it's not just about inventions, it's about poor choices too, like doing a burnout in front of the cops. Either way, going full savage is almost a rite-of-passage for a petrolhead. 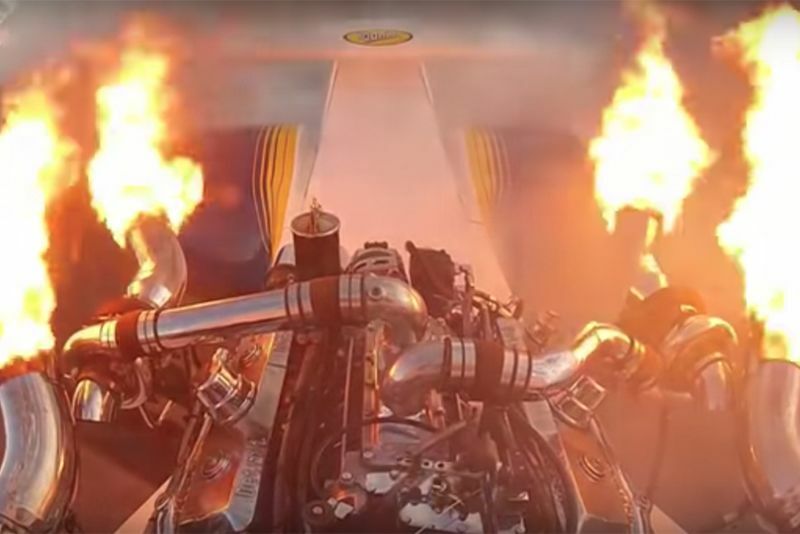 So, watching someone put four turbos, two superchargers and nitrous to their already large motor is mesmerising, especially when it burps out two-foot flames from its quad exhausts. Then, there's lawnmower sand-track drag racing, drift-racing, illegal street-racing, or – if none of those tickles your fancy – then how about a classic Vespa, with a half a Harley motor installed between your legs. So, regardless of why all of these things have happened, just watch the video below and be glad that they did! Video: Two Bmw M3 Drag Race With Each Other And Gets Busted! !